We arrived in Lihue and drove up to our destination resort, and we were very pleased to arrive on a Tuesday afternoon, when Hawaiian music was shared around the beautiful pool, slightly in and away from ocean beaches. Our room was wonderful, as we sat on the balcony basking in the warming sun, watching the beautiful waves roll in, and enjoying our wonderful Hawaiian vacation. This was all in stark contrast, however, to what we discovered on the beaches the next morning. 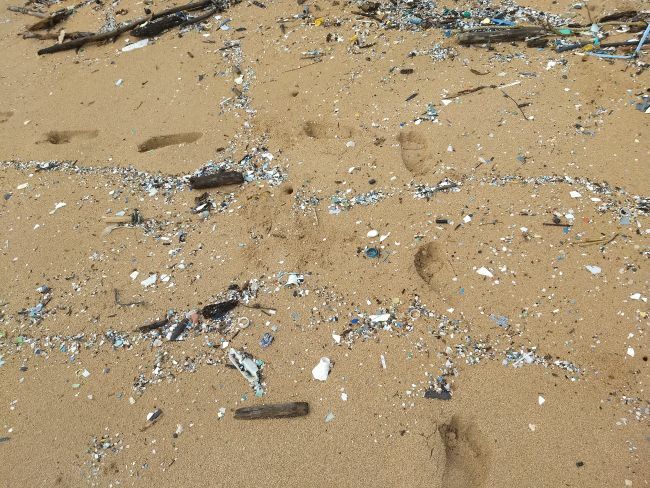 Bits and pieces of hard blue and white plastic were strewn everywhere on the sand, and plastic bottles were even floating in the waves. Too, that evening my husband pointed out to me that the brightly colored bar that we were enjoying our Happy Hour at was actually “decorated” with larger pieces of broken plastic, brightly colored and collected from the beach beyond. 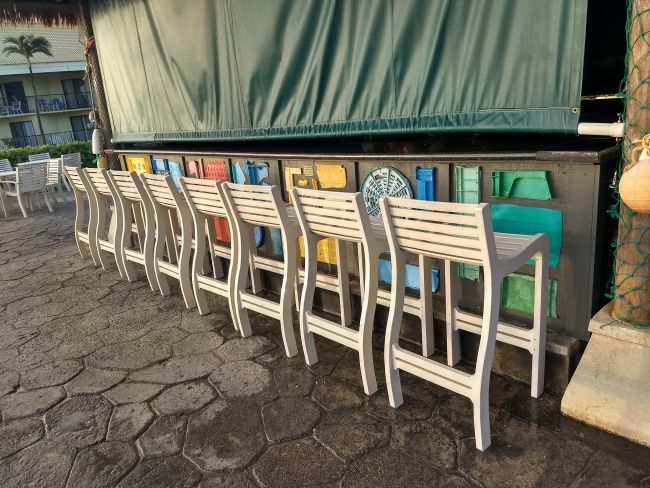 When we asked the bartender about the debris on the beaches and walls of the beach bar, he said much of the larger debris was originally from the earthquake in Japan. Fukushima had happened quite a long time ago, however, and the plastic on the beaches and in the waves was “fresh”: freshly washed up and washed in, from the open ocean beyond. My thoughts then turned to Grandmother Agnes, of the International Council of the 13 Indigenous Grandmother’s. Grandmother Agnes, who hails from the Ashland area, has always been “a voice for the voiceless.” Recently at a speaking engagement, I remember Grandmother Agnes talking about the large, ten-mile Island of plastic that was floating in the ocean. I had not realized that this Island was so big, and I began to pay more attention to it. Eventually, I even went so far as to add the wordings to my List. List wordings for the ocean. I even researched where this floating Island was in the ocean, and I specified its location on several other wordings. Well, once these wordings were on my List, related events started occurring, and they were brought to my attention. Specifically, I remember hearing about plastic showing up on the beaches of the Dominican Republic, and the young man in San Francisco heading out to sea with his “boom” boat, to gather plastics in the ocean. 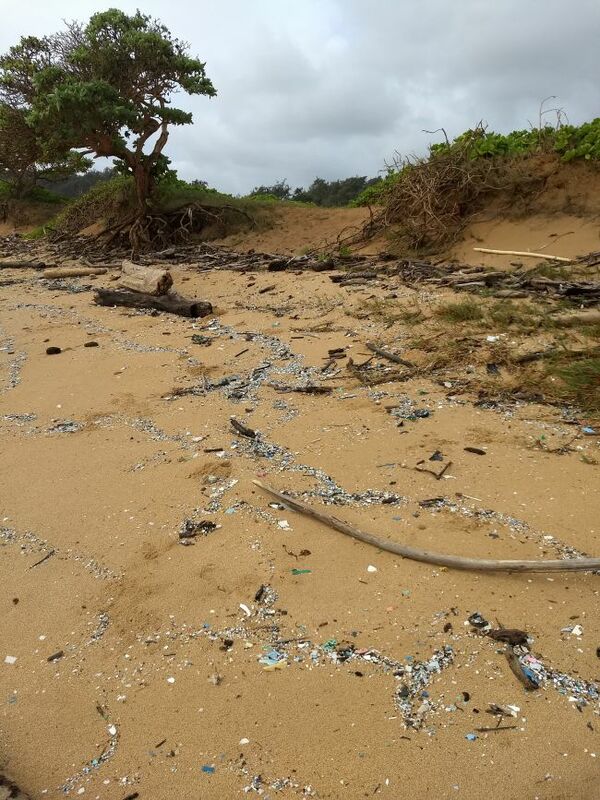 Upon my husband’s and my return, I began to wonder, what was the likelihood that my husband would have booked such a hotel, the only one our travels around Kauai that had a beach and bar ”decorated” with plastic. For those of you who have had a List for a long time, and you know what it can do, I think you would have had similar thoughts, and you would have wanted to do even more. –I find that people who have and utilize their Lists are often highly intelligent individuals, with a strong social conscience. More List Wordings About Plastic? Please Help! So, as to what to do next, I am asking you for your help. Does anyone out there have any more ideas for wordings about this plastic situation? I need to think some more wordings on this: like, “…having plastic exist only to the mutual benefit of all..,” for example: or, “…plastic exists only for the benefit of the Earth, water and land..:” something along those lines. I am not very familiar with all things to do with plastic and recycling, so this is why I am asking for your help. Please remember though, if you add global wordings to your List, they can take a lot of energy, so please monitor this, and only take such wordings on if you are feeling healthy and strong. Relatedly, and one very positive, practical outcome for myself from this experience is that I now have made a very big commitment myself to recycle everything I can. Many of you may already know that in Oregon what we can recycle in our red bins has been significantly reduced. Ashland, however, has its own recycling depot, and they take many items that the red bin will not: like soft plastic for example. 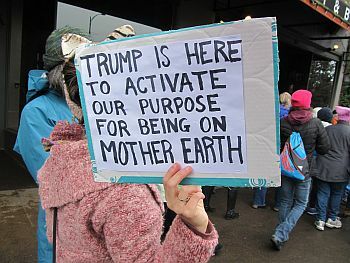 Perhaps we could all add this wording to our List: yes, this is a request, if you feel so moved: before the Earth decides we are too much of a detriment to her and her creations! These thoughts, too, were always concerns of Jann Timmreck’s, as well as the concerns of the Grandmother’s Council. This, indeed, was one of the Grandmother’s main foci, in that they felt and taught that ancient prophecy talks about these times, and how humanity must start to function “to the mutual benefit of all”: even to the benefit of the voiceless: in order to survive. Speaking of the Grandmother’s Council, I am very excited to announce that there is another grandmother’s council with several key Grandmothers coming up soon, celebrating Earth Day. 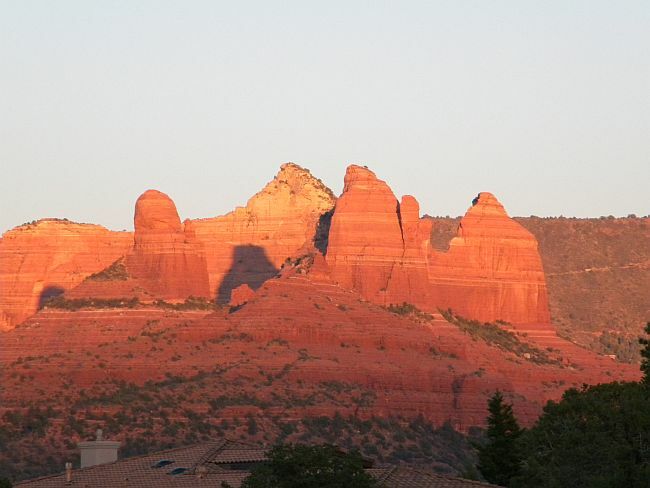 The gathering is in Sedona, from April 19 to 22, and here is a link to the details. Also, on Saturday, March 24, from 12-4, I will be hosting a List Update Class at the Ashland Library. I am looking forward to seeing you there! In April and May, I will also be teaching at OLLI, both the List aka Reality Dynamics and our Visualizations: The Point of Power Classes. Open Registration for these classes at OLLI run from March 1 (now!) to March 25, and becoming an OLLI member for the Spring term costs only $75.00. With this membership, you can attend many more Spring term workshops. Please inform your friends, and encourage them to become members at OLLI, so they can attend these classes. Below too is a link to my schedule and OLLI’s and our contact information, which is now on my website schedule page. 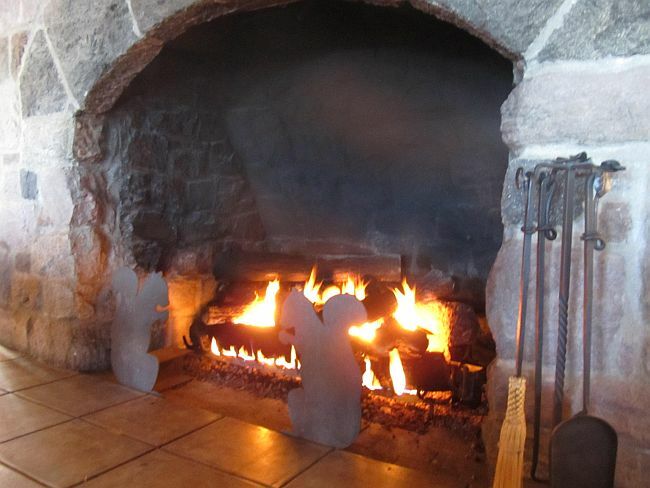 Too, on Saturday, June 8, I will be teaching a “Guides Class,” also known as, “Ghosts, Goblins and Guardian Angels. All of our Timmreck, “Theta Mastery” Classes are meant to be utilized together, at different times, to maximized the effectiveness and joy of your lifetime here on Earth. In this specific class, we teach how to interact safely with non-physical beings: a point that I will be writing more about, in response to Doreen Virtues recent turn around to a much more conservative and I would say safe stance about interacting with non-physical beings. Well, on that interesting note! I love you all, and I wish you all “the best possible,” in these interesting times. I look forward to hearing your suggestions about List wordings for the environment, and I look forward to seeing many of you soon. Please call me or OLLI as soon as possible, to sign up for our wonderful, safe, and joy creating classes! Earth Day is this Sunday, April 22nd, and I thought I would share with you several interesting videos I encountered when signing up for an on-line Earth Day event from the Native American community. Both Grandmothers and Grandfathers speak in these videos, and while some of the thoughts and beliefs are not all the same as my own, many of the ideas are similar to what Jann and Joe Timmreck and I have talked about in the past. Too, while some of these ideas seem quite dire, I share them with you because I have always believed that the new and valuable information provided in the Timmreck seminars is a new way to help this Earth to be much more beautiful, prosperous and safe place to live, for all of us. A side note: keep watching! When you think one talk is over, another speaker comes on. It is well worth the wait. As some of you know, I attended three Grandmother’s Councils, in Lincoln City, Sedona and Anchorage Alaska. While the Grandmothers are no longer meeting in their formal councils, some of the younger Grandmothers are still very active. 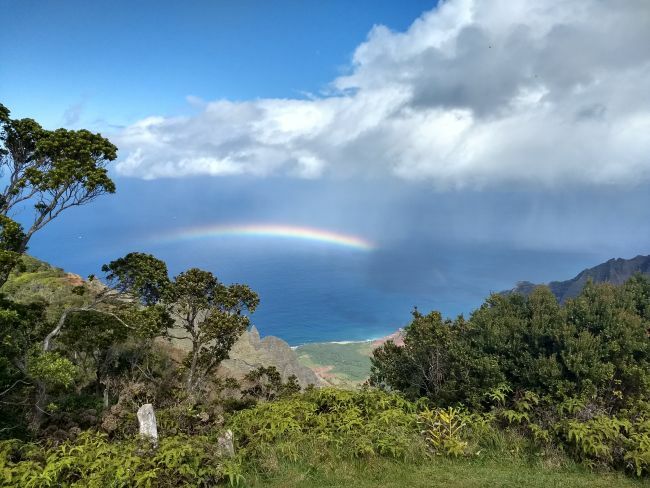 I recently received their invitation to their upcoming three-day on-line event, titled Reverence for All Creation, and culminating on Earth Day. The event takes place on April 20, 21 & 22, at 12 PM Pacific Time. I have signed up myself, and watching the video link below gives you an idea of the upcoming topics and presenters, and also how to register yourself if you are interested. After watching this and other videos relating to this event, I noticed the link below titled (Part 1) Indigenous Native American Prophecy (Elders Speak part 1.) This time I listened to Grandfathers speak, and they talk about caring for the Earth, living a spiritual life, and taking personal responsibility for Earth and the future of our world. (This last topic is covered especially by the second Grandfather speaking, in Part 2 of this video, which plays just after Part 1.) I also found these videos very valuable. From the List perspective, as you may remember, I have written previous articles including List wordings for the Earth. Here they are again, and below them is a link to the original article. Of note is that I have added a wording specifically for the trees. As the first and Hopi Grandfather states, we are linked to trees, and they are very important for us and to our survival. Perhaps you may want to put several of these helpful List wordings and more on your List at our next List Update Class on Saturday, May 12. We will be meeting at the Ashland Library, in the Guanojuato Room, from 12-4 PM. You are welcome to drop in at your convenience, and the fee is by donation. I look forward to seeing you then! Happy Earth Day! Hello everyone. On Sat. June 3, from 1-5, you are invited to bring your List for some valuable personal time to update your List. We will be in the Guanajuato Room downstairs at the Ashland Library. The fee is by donation, and we look forward to seeing you! When I sat down to write this article, I began writing about decision making, as friend had recently asked me about how to use their Lists in that way. So, the second half this post is about decision making with your List. What happened next, however, was very interesting. Driving along Highway 66, suddenly a blue jay landed in front of my car, and there was just no way to avoid it: “Thunk,” and the blue jay was gone. Two days later, the same thing happened with a sparrow. 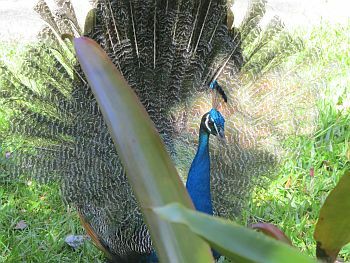 –Not to mention a beautiful peacock that arrived on our doorstep, “out of the blue,” about four weeks ago, and sandpipers arrived in our yard just yesterday, when we usually only see them on the Coast. The reason for all these events is still unclear to me; however, when such “coincidences” happen, especially 3 times or more, you don’t need to know the exact reasons why, you just need to act. So, here is a new List wording that I am adding to my List. In asking why this might be happening, a good friend told me that often birds are very good environmental indicators. Perhaps this is the case. Below is a link to an article explaining this situation. 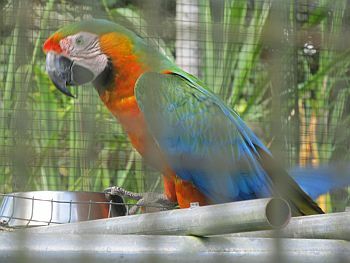 Below that is a link to relevant environmental wordings that I have shared previously on my website. 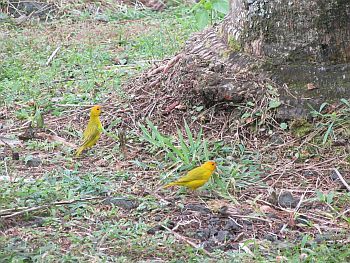 These images of birds are actually from our trip to Hawaii, and the Hilo’s Panaewa Zoo, the only Rain Forest Zoo in the US: a wonderful place to visit! One of the great things about the List is that you can use it to help you make decisions, large and small. I thought I’d take some time to review how this works with the List, and perhaps you can use some of these wordings and techniques during our List Update Class or on your own. Also, while we sometimes combine concepts in a List statement, the List works best when wordings are kept simple, containing only one main idea, and when wordings are clear and concise so that even a young child can understand them. Another way to use the List to help make decision, besides having the general statements above, is to address your situations specifically. First of all, you can address the situation a bit more specifically than above, but also generally. For example, say you want to move. You know you want a new place to live, and you have several options. Then, as you begin your search, when trying to decide between two specific items, you can put both items on your List, and then see which flows more easily into your life. You may also need to take actions towards these decisions. Most likely, one will flow, and one will not. Lastly, trust your feelings. If the direction you are going in is uncomfortable, it is very likely not be the one for you. Thank you, and we look forward to seeing you on the 3rd of June! Remember, too, to refer your friends to our next List Class, being held on Nov. 4th and 5th. Aloha everyone! Much has happened since I last wrote. An inauguration, a women’s march on Washington, and on a personal level, an unexpected trip to Upstate New York to visit family, and a long-planned trip to Hawaii. All these are my excuses for not being in touch for so long! Too, I have not had time for that New Year’s List Overhaul, which I usually do and write about in January. I have just had time to add List wordings as new situations occur. These though have most definitely helped to make my travels to take place more enjoyably! 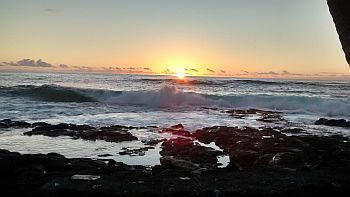 We are just back from the big Island of Hawaii! I have long had the intuition to go there, but I have not really known exactly why. (That is a part of the discovery process with intuitions!) On faith, though, my husband and I followed through. Not long after arriving, the answers became increasingly clear. First of all, the peace and relaxation you feel there is incredible: the winds feel as warm and welcoming as the sunshine and the water. The ground seems to rise up to meet you, alive with the buzz of positive and loving energy. 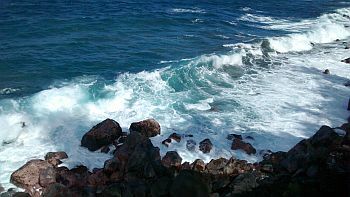 Too, it seems that in Hawaii, all types of new thought spirituality (or is it so new?) flourishes. 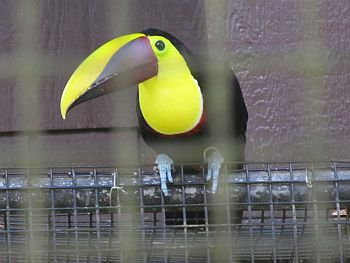 On the first day of being here, a friend and long-time “Listian,” invited Jack and I to an interesting talk about Shamanism, at a local New Thought Center: http://www.newthoughtcenterofhawaii.com/ . That afternoon, I attended my first fun and enjoyable drumming circle, led by Stephanie and Matt, who you can read about on their website, at http://www.earthrhythmshealing.com/ . 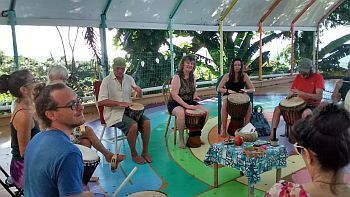 Too, the drumming circle was held at the interesting Dragonfly Ranch B&B, a retreat center on the beautiful Hawaiian coast. Check it out at http://www.dragonflyranch.com/ . As I participated in and marveled at all these activities here, I began to realize that there may be a powerful place here for the List and further Timmreck Theta Mastery Seminars. Especially, The List would provide a safety and protection of these wonderful and generous Right Brain people. So, I then went so far as to research different retreat centers there, of which there are many. 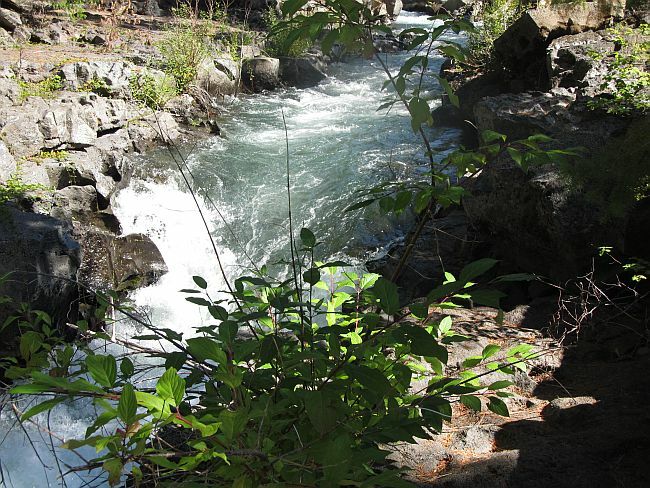 In this exploration, I found this really interesting website that draws a connection between Hawaii, Mount Shasta, and the positive energy in both places, and also the lost city of Lemuria. These are all places that I have been interested in and drawn to in the past. Mt. Shasta is just South of Ashland, and Jack and I visit there often. Here is the website: http://www.sacredvoyages.com/about-us/ I hope you enjoy looking through it. Experiencing Hawaii is a far cry from the inauguration of Donald Trump. On inauguration day, I took my own advice, and I finally put on my List these two new wordings. I wrote that Donald John Trump was, “functioning to the mutual benefit of all,” and I added that his wife, Melania Trump, was doing the same. The next day, I attended the Woman’s March in Ashland, and that was a real treat. It turned out the march had a much broader agenda than solely women’s issues, as shown in the photo below. I include here one of my favorites. It was so Ashland! Ashland people are so participatory in Human Rights and Spiritual activities. This brings up a whole other subject; Mind Frames: in particular, how much Donald Trump reminds me of the Left External Mind Frame. In November last year, my planned List Class morphed into a Mind Frames Class, which was fun and enjoyable. These reminders came from teaching that class. Many of you will remember how Jann Timmreck used to talk about Donald Trump as a classic Left External personality type. For those of you who never met Jann, or who have not yet taken that class, here is a brief overview of the Left External Mind Frame. Typically a Left External is very wealthy, in the extreme. They will win big and loose big; and when they lose big they don’t really care, because they always know they can use their skills to win big again. They say what they think, and they don’t really care what others think. They have very thick skins. They are strong authorities, but they need other people to get things done for them. Typically, Left Externals are very good at setting a structure and maintaining it. Jann used to say, “You don’t always like them, but you need them!” They also like beautiful, youthful women as wives, who are good mothers to their children. Sound like someone we know? 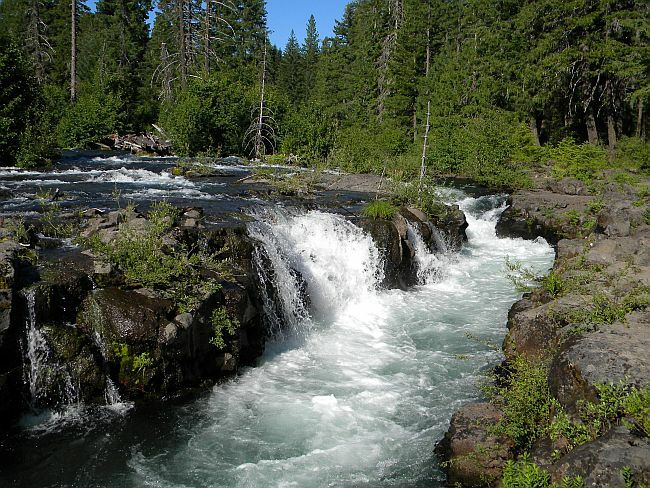 This is a description of a “flowing” Left External personality type. On the negative side, Left external “stuck” personality types will likely have no money. They will push their own agenda, to the point where they may even cause wars. I think this last part is likely the concern many people have about Donald Trump. But, he does have money: so, let’s hope he is a flowing Left External! 2017 is now well upon us, and Spring is here. We have already been through the tail end of one Mercury Retrograde (December 19, 2016 – January 8, 2017), and here are the dates for the next three: April 9 – May 3 (starting soon! ), August 12 – September 5, and December 2 – 22. During these times, communications can be disrupted, traffic can be slow, and try not to sign any contracts. The positive aspect is you can get all extremes of any situation, so talk, talk, talk! Our next List Update Class will be held on Saturday, June 3, at the Ashland Library, The Guanajuato Room, from 1-5 pm. I hope you can join us then. If you are not in the area, and you need any assistance with your List, please email me or give me a call. I will be teaching a List Class on Nov. 4th and 5th of this year. If you are interested in private classes and consultations in any of our Theta Master Classes, visit https://therealitydynamicslist.com/theta-mastery-seminars/ and please be in touch. Aloha all! Yours gratefully, Marnie Hancock. November is here, and the List theme of this month is Peace: hard to believe, with the turmoil of the US Election, soon to be determined. What better theme than peace though, for before, during and after this election. BTW, Need a Reading from Higher Consciousness? Here is an enjoyable wording that I first used on my List, I believe, in 1986. Sound Peace Bookstore here in Ashland has a directory of local psychics, and they are doing short introductory videos for free. Here is a link to my first video with them, unrehearsed as it is! While we can connect to higher consciousness ourselves, aided by the fact that we have our Lists, listening to messages from higher consciousness can sometimes take practice. I am so grateful for having learned many intuitive tools from Jann and Joe Timmreck, and I would be happy to share your own personalized insights from higher consciousness. Give me a call! Lastly, I would like to share an interesting insight and message from Michael Meade, who came to Ashland recently to speak at SOU, sponsored by The Rogue Valley Metaphysical Library. He is a popular author and speaker, and he is the founder of the Mosaic Foundation out of Seattle. His inspirational message was this. There has always been conflict and change; whatever institution takes form will always have influences arise to take it apart. He believes that it is our genius, however, that ultimately informs us and makes these institutions evolve into something better and new. Such was his view of our current government and election situations. He also said that we are all looking for our genius, and we really need to listen and figure out what we really want to do in this world. He said that it is our unique genius and the insights we find from this that will inform and help us create our new society and paradigm. 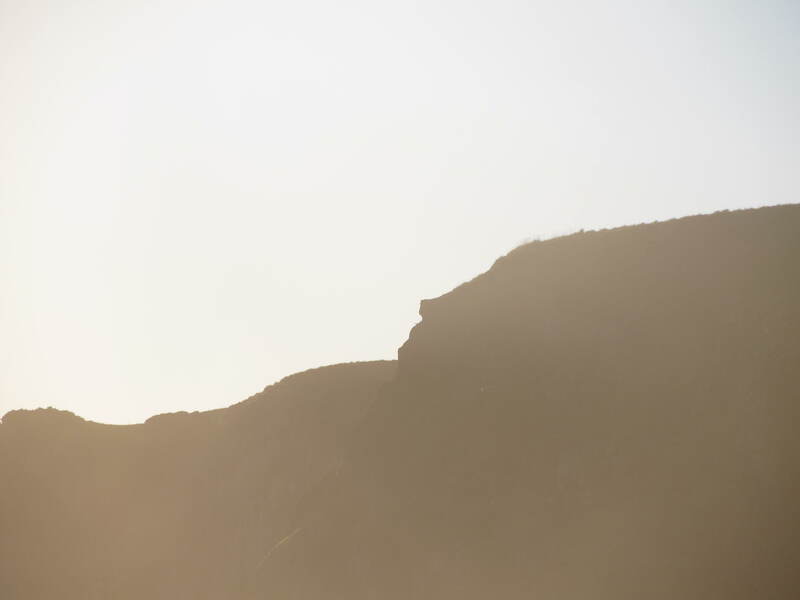 For me this boiled down to connecting with higher consciousness and the insights and joys that lie within it for us, our life plan and as he termed it, and finding our own personal genius, or our own personal, “golden” gifts. One of his main insights too, from his own personal genius so to speak, was that he saw that mentorship in our society needs to be brought back and promoted much, much more. He feels that for example rather than marginalizing our elders, promoting their connection to our youth was really important, and he believed that their mentorship would lead to a much healthier and better functioning society today. I have often had this thought too, about many of our institutions, and I believe he is correct. Here are links to the full version of his talk and his books and foundation if you would like to check them out. Let us remember how important mentorship is, in its many forms, and help to share what we have learned with others. 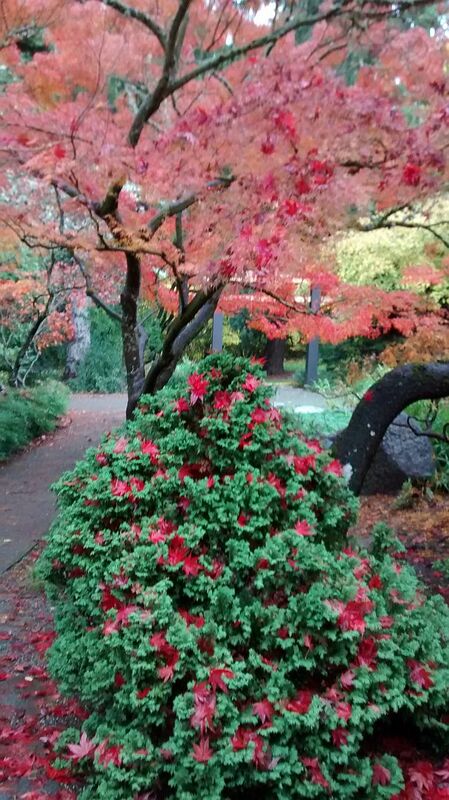 For ourselves, as List Alumni, let’s bring our List and a friend to the Talent Library on Sat., Nov. 12, from 10-12, and lets share one of the things that we know creates a much better and more peaceful life and world, The List aka Reality Dynamics. The List Class follows the next weekend, Sat. and Sun., Nov. 19 and 20, from 10-4 both days. The Info. Talk and Update Class are free, and the fee for the List Class pre-registered is $150.00. To Peace, The List, Mentorship and Higher Consciousness! In this reminder email about this Friday, I thought I would talk more about race relations, specifically the, “Black Lives Matter” movement, and tell you about what has be happening relating to it here in Ashland, Oregon. I find this such an interesting town to live in, because generally people here are quite liberal, positive, inclusive, intelligent and forward thinking. Recently the town was abuzz though with a racist occurrence. A beautiful young African American actress is in town, along with many other African American actors and actresses. She is doing a great job of playing the Lion in “The Wiz.” Recently, though, she was approached by a young man on a bike, telling her, “You know, the KKK is still alive and well here in Ashland.” She was traumatized, as was the rest of Ashland once they heard about it. So, soon afterwards, a rally was held on “The Bricks,” just outside of the Oregon Shakespeare Festival, in support of her and all black people, and many Ashland people attended (me included.) 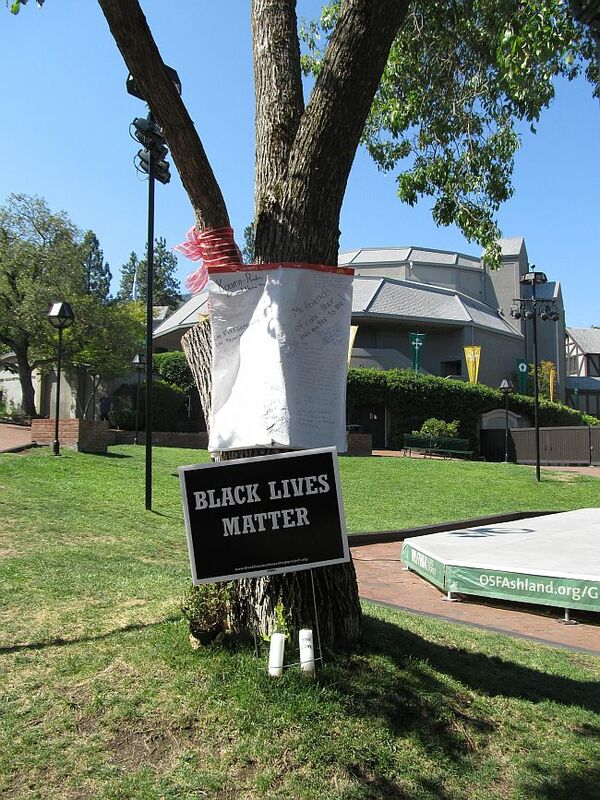 Beside the stage, a “Black Lives Matter” poster went up, and on a close-by tree, red ribbons were tied, and a whole pad of chart paper was posted. As it turned out, though, this young man really wasn’t representative of the Ashland community at all (or was he?) It turned out, the police suspect, that he is a young homeless man, who lives in the Ashland area, and who is mentally ill. –Sigh, just another of two social issues, that maybe we can talk about wordings for this Friday. But what I really wanted to share with you was something related that I discovered just last night. In the culturally inclusive tradition of Ashland, last night on The Bricks at the Green Show, Ashland’s Taiko Drummers gave a rousing half hour show. It just so happened, though, that the friend we were to meet, sat right beside that tree with the “Black Lives Matter” poster beside it and attached chart. They were still sitting there weeks later, and I got to read the many interesting and varied comments. I know it’s politically incorrect to say this, but it was so interesting and enjoyable to read the comments. Believe it or not, just the first page was written on: but the comments were so representative of Ashland’s great thinkers, as well as the discussion of the issues around the rest of the US, that I took the time to photograph and then write out some of the comments, for your reading pleasure. (Some of the punctuation and several words have changed, for clarity, and I wasn’t able to include all of the pictures, because the print was too light. *) Enjoy! Yes, Yes, Black Lives Matter Equally. Freedom rings through unbanned books. Let Freedom Ring! Let Equality Ring! 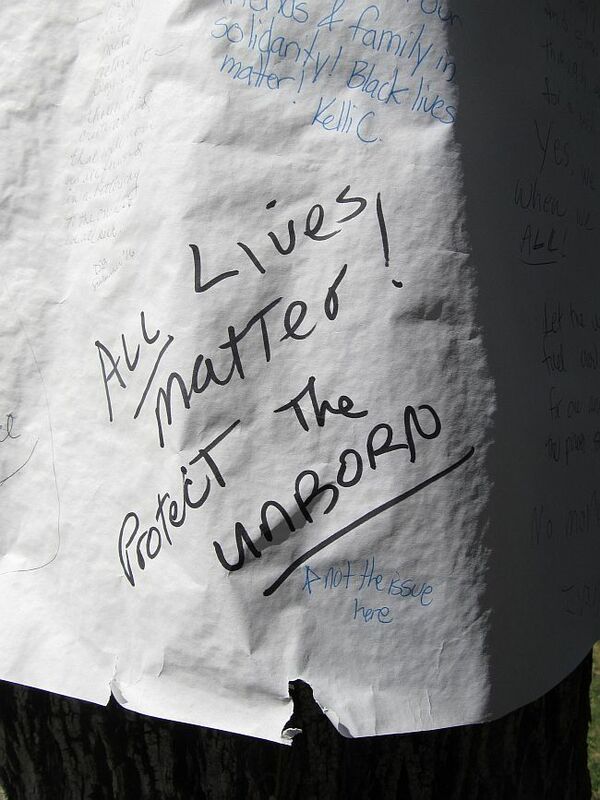 All Lives Matter—Protect The Unborn! (And then below that:) Not the issue here! Palestine Justice Supporting Black Lives Matter. Yes we are ALL Family. When we hurt one, we hurt ALL! Let the words of Malcolm X fuel our inclusive care for one another, and challenge the power structure. High time all people in America end the horrible remains of discrimination and degradation against black people, brought to this country against their will, that slavery hath bequeathed to them. * Too many continue the onslaught. Capital follows cheap labor. Let us begin anew and create a society with really equal opportunities for jobs, housing and sharing the wealth of capitalism through a social democratic means for a just and free world. Black lives matter! We focus on our family members who need the most protection, while acknowledging that everyone is valuable. It is the – artists – writers, poets, actors, playwrights – those who create a world that will move us all forward in a better way to the oneness we all seek. Blue & Pink Lives Matter! But there is an issue here. Thank you all. I hope you found this as interesting as I did. List Update Class This Fri., 10-3, Talent Library, Welcome! What will the topic of our next List Update Class be, this Fri., Aug. 26th? –Well, likely a continuation of the same, also with lots of time to spend on our own Lists: time to focus on our own needs and “resolutions,” as well as to socialize and talk about what is happening in the world. Yours gratefully, Marnie Hancock @ marnie@therealitydynamicslist.com. Hello Everyone. I had the great pleasure of sitting at the luncheon table with Grandmother Agnes Baker Pilgrim and her daughter Nadine, when this May Grandmother Agnes received the Women Helping Women Award from Soroptimist’s International of Ashland. Our picture and story even made it onto the front page of The Ashland Daily Tidings! I am currently a Soroptimist, and I had nominated Grandmother Agnes several months ago for the award. Below is a copy of the nomination letter I wrote, and at the end of this letter is also a link to the article in the Ashland Daily Tidings. Many of Grandmother Agnes’s causes are the causes of List Alumni, I hope you enjoy reading about such a shining example of positive leadership in our time. I would like to nominate Grandmother Agnes Baker-Pilgrim for Soroptimists International of Ashland’s Women Helping Women Award, for her powerful leadership role as a compassionate and yet highly influential woman, both internationally and locally. Through her efforts, she has shone the light on women’s capacity to influence and lead throughout the world, leading on such important issues as women’s rights, environmental pollution, racial discrimination, the importance of water preservation, anti-bullying, and how to build positive relationships within the family and the community. 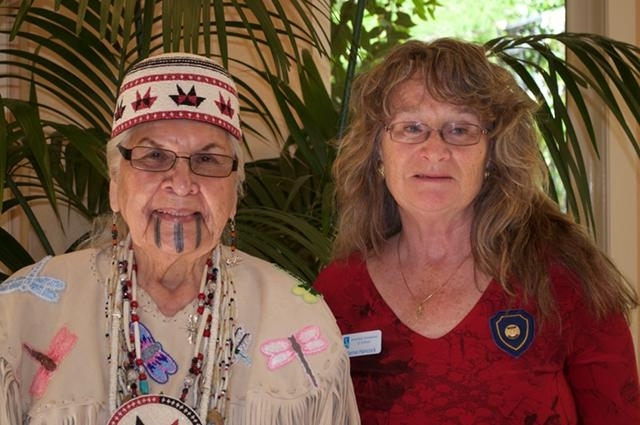 I first heard about Grandmother Agnes from Kathy Garrett Canape, last year’s SIA President. A number of years back, Kathy sent me an email about an upcoming event in Ashland, called a Grandmother’s Council. I immediately felt this was important, and Kathy did too. She was even helping to host the event, and to assist I sent out an email to my email list. This was one of the first Grandmother’s Council gatherings. Many more have taken place throughout the world, and Grandmothers from many different countries have hosted and participated in these Councils. In the highly acclaimed book, “Grandmothers Counsel the World,” by Carol Schaefer, many of these grandmother’s stories are shared. Grandmother Agnes is the first Grandmother to be written about, and she is considered to be the leader of the International Grandmother’s Council. In Aboriginal cultures around the world, this Grandmother’s Council has been prophesized for centuries. One of the main purposes of this Council, so the prophesy states, is to right the imbalance between men and women, and to place women once again into a position of power and authority in the world. Grandmother Agnes herself hosted a highly successful International Grandmothers Council in Lincoln City. I had the honor and pleasure of attending this Council, and one shining example of Grandmother Agnes’s leadership abilities stands out in my mind. Part way through the conference, Grandmother Aggie brought up one of her beautiful young granddaughters. In her traditional dress, this young girl danced for everyone at the Council. Not only was I impressed with her inclusion at such an important and prestigious event, but I was really impressed by the way actions like this were so clearly building confidence and a strong and positive self-concept within this young girl. When the applause ended, Grandmother Aggie shared with us how this young girl had travelled with the Grandmothers all the way to Rome, where they had gone to request an audience with the former Pope. I believe their goal was to the removal of a number of ancient Papal Bulls, which had condoned and led to the decimation of many aboriginal cultures around the world. Also, I believe their goal was to question the status of women within the church, and to talk with the Pope about improving this. I understand that the Grandmothers are planning to travel to Rome again and approach the new Pope in Rome, later this year. 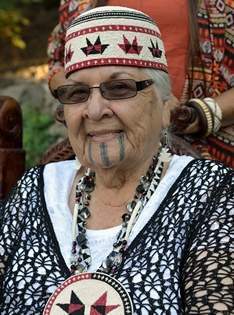 “Agnes Baker Pilgrim, the oldest member of the Takelma Tribe of Oregon, travels tirelessly around the world to keep traditions alive, to help those in need, and to be a voice for the voiceless…. Transcribed from an interview with one of the most important voices of the First Nation and of the world, Grandma Aggies’s stories and advice mesmerize and captivate while providing a blueprint for how inhabitants of the earth can live together in harmony and peace. Soroptimists International of Ashland, let’s honour Grandmother Agnes too. We are so lucky to have this inspirational, strong and wonderful female role model, right here in our community. 2016: Forecasts, Retrogrades, & Racism & Resolutions! This featured image in this post was taken on Jan. 1, 2016, at Whaleshead Cove in Oregon. What a beautiful day to begin the New Year with! In 2016, I wish you all the power and strength of the golden sun; the tranquility and peace of the water; and the grounding of rock and sand. 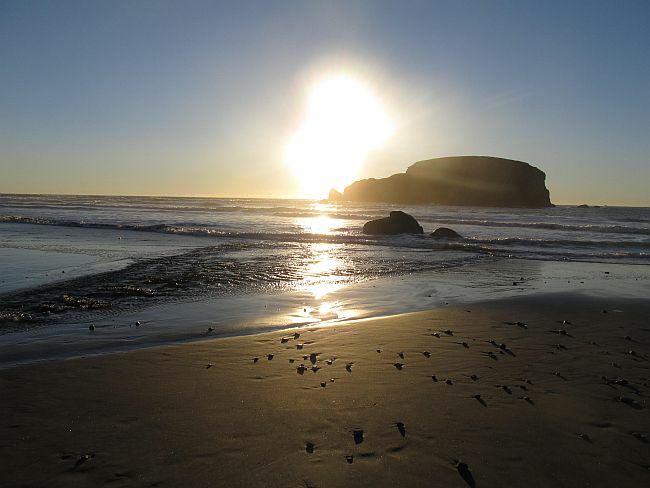 My husband and I ventured over to the Oregon Coast on New Year’s Day, and we had a wonderful time. 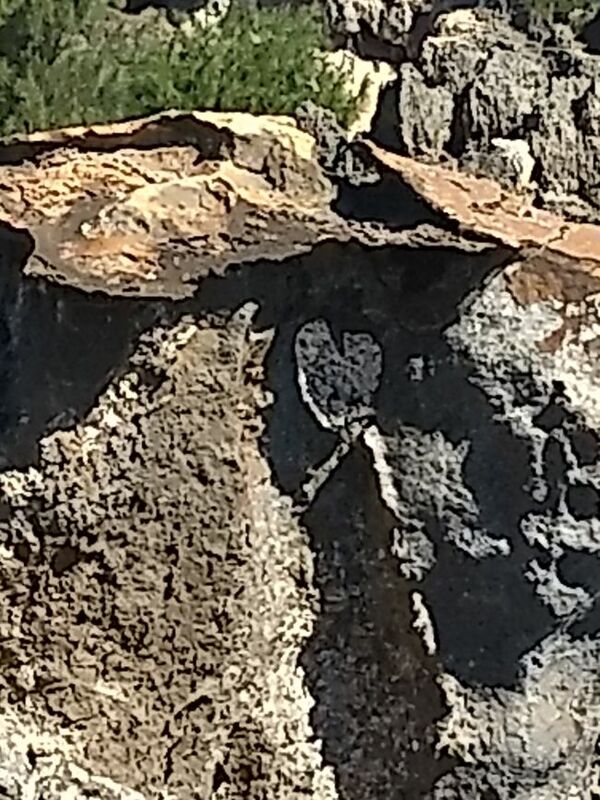 Taking a closer look at the featured image, you will see a beautiful face in this rock. This is what I will be writing about today: taking a closer look; at ourselves and at our world, for 2016. I will be talking about Mercury Retrogrades, forecasts for this year, and finally solutions to racism in 2016 and beyond. I realize I am a little late in wishing everyone a Happy New Year, but my excuse is this most recent Mercury Retrograde! I know, I like to blame everything on Mercury Retrogrades! LOL. Here are the Mercury Retrograde dates for 2016. December 19th – January 8th, 2017. I have a friend and List Alumni who sends me Astrology and Numerology newsletters, and while I am not an expert, I would like to summarize what I hear these newsletters saying for 2016. From the Numerologists, 2016 is a 9 year, meaning that this year is a completion year. Therefore, 2016 is all about reviewing and letting go of the past, and also about deciding what is really important for the future. Astrologically, Jupiter is also in Retrograde, placing a particular emphasis on letting go of past family issues. From Chinese Astrology, this year is the year of the Fire Monkey. Energy, creativity, intellect and even global volatility, especially later in the year, are emphasized. Yes, this year we really might need that grounding from Mother Earth! Many people review their Lists at New Year’s, and considering this year’s forecast, what a great time for this! I suggest taking up to two weeks, to check and see what’s happened on your List, to see what needs to be removed or revised, and to decide what you want for the future. I did this myself. Assisting me with this, on New Year’s Eve, I was invited over to a local medicine woman’s home. There, we did a ceremony for letting go what we no longer wanted in 2015. 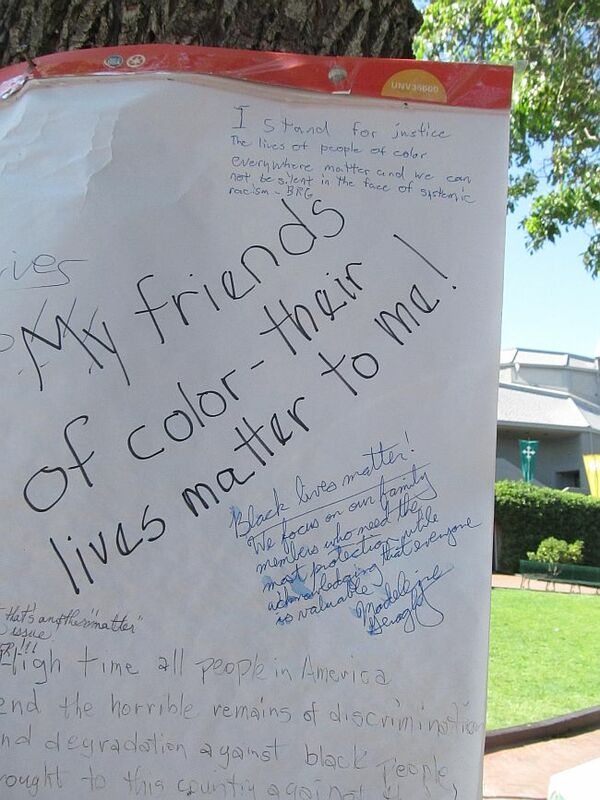 Later, we discussed what seemed to be on everyone’s mind, the subject of racial discrimination. First of all, I found it very interesting that The Letting Go Ceremony was very similar to one of our List processes; in that you write down what you want to let go, and then you burn it in the fire. This is similar to burning our I Want List Statements, after we replace them with I Am List Statements. In List dynamics, Joe Timmreck tells me that in doing this, we are telling our subconscious minds that we are no longer attached to that item, and it complies. Once we had completed this process, though, the discussion about discrimination began. The subject of religious discrimination came up first, because we started talking about the recent suggestions to reject Syrian Refugees. After a brief pause, however, the subject soon turned to racial discrimination; and in particular to the discrimination of Aboriginal people. Very early in the conversation, I mistakenly made a comment that Aboriginal people have been discriminated against in the past. I was quickly reminded, however, that in many ways, discrimination is still very much alive in Aboriginal people’s lives today. Our hostess informed me that she knows aboriginal people who even today remember signs that read, “No Dogs and No Indians Allowed.” Too, she talked about the traumas and abuse at residential schools, as well as the imposed and degrading beliefs about being “savages.” She added that she knows people even today who remember being taken away from their mother’s arms, crying and screaming; and then they never saw their parents again. While many of these extreme experiences are no longer happening presently, we all know from List theory the potency of early programming, by our parents and others, in terms of passing on limiting beliefs and traumas; and without a List or effective trauma release techniques to clear them, these traumas and beliefs very easily get passed on from generation to generation, and on into the future forever. This was very interesting to me, because I too had recently been pondering the same subject myself. Pondering the Syrian and Middle Eastern Crises, my conclusion was that focusing on commonly held human values might also be the solution. So, for my resolutions for 2016 and beyond, I put together and added these List wordings for Humanity. I focused mostly on human values, and I will share these wordings with you below. I know it’s a bit of a leap to include higher consciousness in these wordings, but in doing this, I am attempting to transcend both racial and religious differences. In List theory, different religious theories, and even racial prejudices, are simply left brain, partial and sometimes inaccurate interpretations of right brain and higher conscious truths. –Assuming this, it would be so nice for humanity to be more accurately on the same page! Socrates himself used to talk about this, talking about how symbols representing truths exist on a higher plane, and they then emanate through to us in this physical world. Thus we are left to interpret them, based on our unique geographic and common histories: for better or for worse! Not only had I been contemplating humanity at New Year’s, but I was also thinking about Grandmother Agnes a lot, even before Christmas. Then a friend of mine mentioned that she had just been interviewed on JPR Radio, about her new book and CD release, titled “Grandma Aggie, says, ‘Wake Up World!’” In her book and CD, she also talks about how in these times we need to come together as one human community, to find solutions to the problems of today. Too, I believe she shares many of the ceremonies and values of her tribe. Having attended three different Grandmother’s Councils, I have been very impressed with the society she represents, and in particular the positive, inclusive and role-based way that they raise their children. As Jann Timmreck once told me, “This is a very ancient society.” I believe in saying this, she was implying that Aboriginal peoples have had many, many centuries, “to get it right.” While I have not yet purchased this book, I intend to; and I am sure that there are many gems held within. Here is a link to Grandma Aggie’s interview, and below that is a link to the purchase of Grandma Aggie’s book. Not only is Grandmother Agnes local to this area, but so is Blackstone Books, the publisher. I look forward to further publications in this series, including the information shared by Chief Avrol Looking Horse. I have written about Chief Avrol Looking Horse in previous posts. He, too, wishes that Humanity come together, with common, shared values, and a collaborative view for creating a better world. So, Happy 2016 everyone! Wishing you “the best possible” fulfillment of our New Year’s Resolutions! Water and a lack of it are on many people’s minds these days. So, it was very timely that we discovered some new List wordings for healing the water and also the environment. In a very roundabout way, we came up with the following List wording at one of our List gatherings in Ashland. This List wording actually started out by a List Alumni to trying to clear smoky skies in Southern Oregon. Tired of the month-long smoke in the valley, she added this wording to her List. Almost immediately, the smoky skies turned blue. What, you say, the skies were likely going to clear anyways?!? Well, as always, there is no physical “proof” that this change was caused by the List. But, the long-awaited smoke clearing occurred within a 12 hour period, and, very easily. Since then, we have experienced a full month of clear and sunny blue skies, and the smoke has not returned. 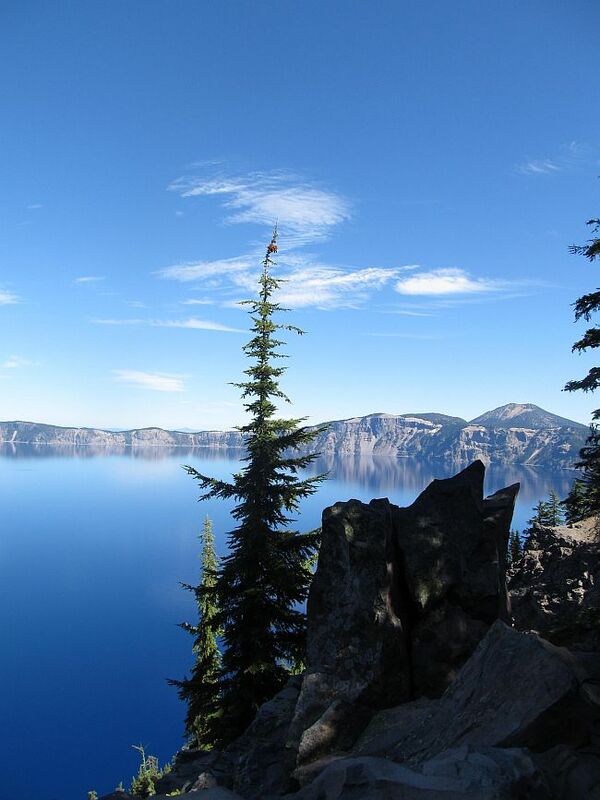 My husband and I enjoyed our second pilgrimage to Crater Lake this summer as soon as the skies cleared. Fortunately, there seems to be little change in the level of the water in the crater. (No out of control consumption?!?) But snow packs last winter were very minimal. So, I thought, why not try a similar wording for the local water, written above, and even for the soils we grow our food in? In this way, I covered three of the five elements identified as very significant in many Ancient Societies. And I have previously written a complete article about safety for the trees. Regarding the ethers, and/or spirit, I believe many ancient civilizations believed that this was the source of all the elements, and in part ran through them all. This brings me to a brief discussion of the two conferences I alerted you to this summer, the visit of the Tibetan Rinpoche from Bhutan, and the World Peace and Prayer Day hosted by Grandmother Agnes Pilgrim Baker and Chief Avrol Looking Horse. Common to the two conferences was a concern for the environment, and in particular a concern for the element of water. The Tibetan Rinpoche talked about showing a love and respect for the water, through performing the water blessing ceremony here in Ashland. Chief Avrol Looking Horse and Grandmother Agnes talked about respecting and praising the elements through prayers and ceremonies. Key to all three speakers was the knowledge that each element was alive and a part of the sacred, and as such needed to be honoured, respected and praised. This, in contrast to the elements being bought and sold as commodities, and simply for profit. If not, receding waters and changes in the other sacred elements would be what we could expect. So, in our own List way, I believe that if we add these wordings to our Lists we will be doing our part to help to heal the waters and other situations involving the environment. This last List gathering brought about an interesting discussion between Joe Timmreck and myself, about whether we should have our List wordings address local or global situations. Often I have recommended global wordings, but I have also added the caution that when we do that, we need to make sure that it doesn’t take too much of our own energy. Joe Timmreck added another perspective to this, and I am grateful. He mentioned that when you add global wordings oftentimes many, many factors come into play, and adding them can even change the outcomes of situations that have been developing for learning. Also, as I have found, the wording may not work as immediately or as well, most likely for those reasons. So, that is why I am suggesting a more local approach, at least in this case. Joe also recommended that for more global concerns, group visualizations were recommended. I have been reminded of this before, and for this reason, I would love to gather those who are local and interested to attend an afternoon to visualize as a group, for our planet, ourselves, the environment and any other concerns. On Sat., Oct. 24, at 10:30 AM we will gather to work on our Lists, and I will lead a Good/Bad Technique for those who are interested. At 12:30 PM we will be having a Pot lunch. 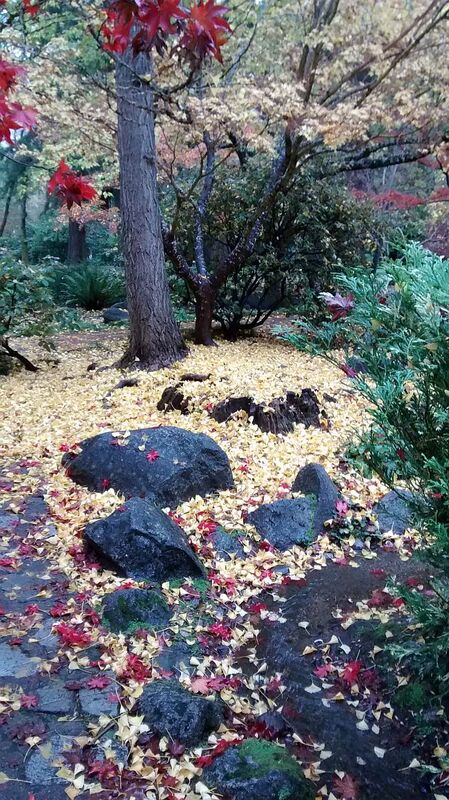 At 1:30 PM, we will gather for a Group Visualization, focused on healing ourselves and the environment. We will gather at a private home, so please call or email to register for either or both sessions, and to confirm the location. Attendance is by donation. A suggested donation is $15.00. Our next List Class is scheduled for Fri., Nov. Nov. 13, 7 – 10 PM, Sun., Nov. 15, 10 AM – 5 PM, and Tues., Nov. 17, 7 – 10 PM, at the Phoenix Public Library, 510 West 1st Street, Pheonix, Oregon. These dates are subject to change, however, so stay tuned. Fee, TBA. On Oct. 24 & 25, a Sat. & Sun., Joe Timmreck will teaching his second San Francisco List Class! Please call or email Marnie Hancock if you know of any individuals in the San Francisco area who would be interested in attending. Fee & Location, TBA. I would like to leave you with one more interesting “element” shared by Chief Avrol Looking Horse. He was very inspired to share this message with the world. According to him and Aboriginal Prophesies, times of great change and reconciliation are upon us. This is evidenced by the birth of white animals and especially the White Buffalo Calf in 1994. In order to solve the problems of today, he believes we need to transcend our differences and to problem solve as one group of humanity. Differences in religion, race and creed need to be put aside, and we need to work together to resolve negative situations by turning them into positive ones. Doesn’t that sound like the List? Happy writing, happy “righting,” and I will be in touch again as the fall progresses. Here is a link to videos of Chief Avrol Looking Horse talking about the importance of these times for those who are interested. This month I will be travelling to North Vancouver, BC, and I will be holding a List Class during the last two weeks of March. Please stay tuned for details. March 8th is International Woman’s Day, and it comes to mind for me how helpful the List is for Women. While the List is beneficial for both women and men, the List has a way to empower women even beyond our current comprehension. I asked her to explain, but I thought I already knew the answer. –Months and months of Good/Bads, on many of the emotional issues that women have today: “guilt, worry, a lack of confidence,” etc., were all words that each month I would do one Good/Bad on, hoping to change my powerless reality to an empowered one. Essentially, that day, she told me I had. Yes, after the substrata of disbelief melted away, I realized it was true. One of the largest issues in my life was “failure:” failure in my work, in my relationships, with money, etc. : issues that are all common and detrimental to women. And each time I “failed,” I had to go running back to my brothers for protection, because their “structure” was so strong. “I am employed by the Burnaby School District as long as I want and choose….” This helped to take care of the financial crisis I was in, getting my job back with Burnaby that year, and soon afterwards I received a continuing contract. Can you imagine what would happen if women in Africa had the List? Or women in India, or in China? These powerful women, standing up for their rights! Can you imagine the prosperity the world and these women would experience? 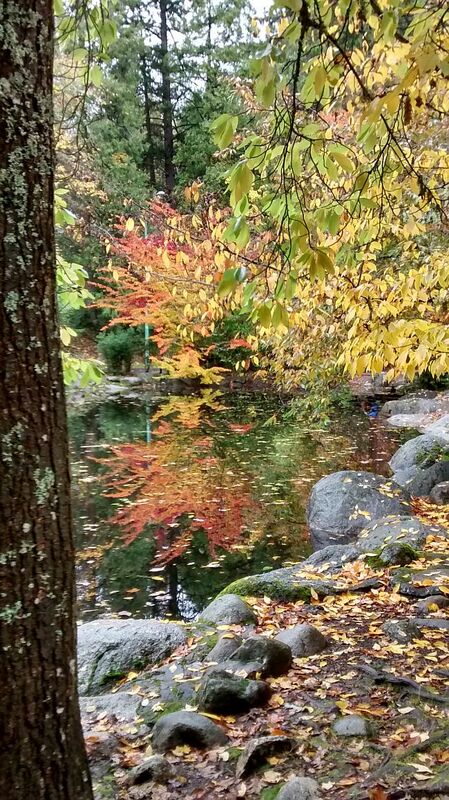 Speaking of women standing up: I finally want to share with you what happened when I went to the Grandmother’s Council in Sedona, Arizona. Believe it or not, this does relate. 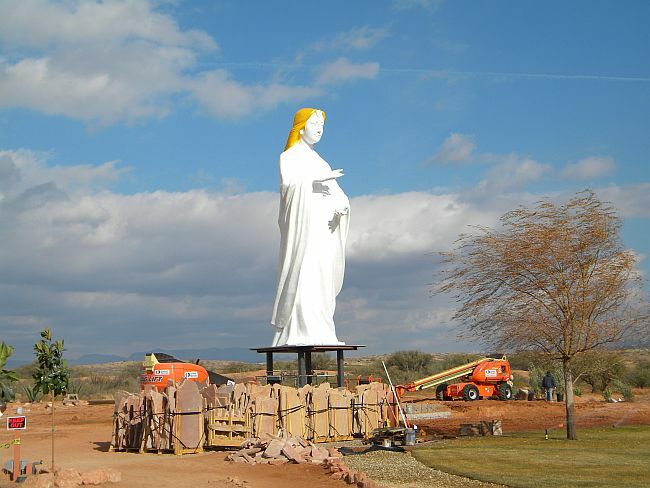 Imagine my surprise, when on my first day in Sedona I was driving my rental car out into the desert, trying to find where the Council was being held, and I see this huge white statue of a woman looming in the distance; standing even taller that the cross on the top of the three story church beside her. “Turn right at the church,” they had told me. –They didn’t mention the statue, I thought to myself. –But then I realized, that was because, on this day, they were “erecting” her. Because when I drove out that evening, she had a head. –This gets even more interesting. 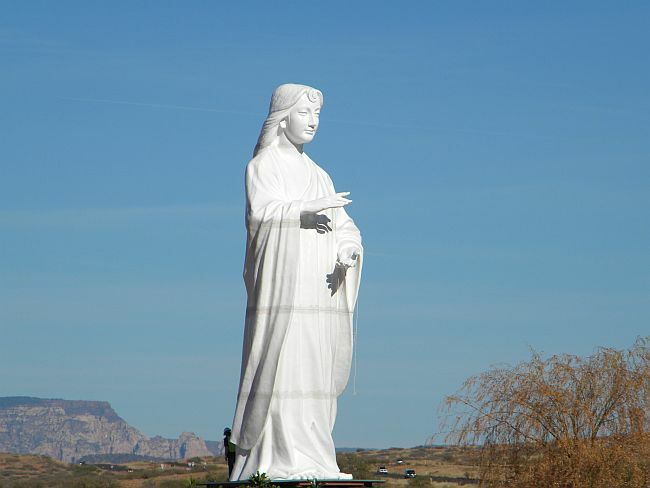 The conference lasted for three days, and each day I drove by this beautiful statue. On the third day, as I was leaving, I noticed that this woman’s hair had been painted a beautiful metallic gold. “The Woman with the Yellow Hair;” that phrase kept running through my consciousness. –I myself couldn’t believe it. There she was, standing three stories high, and being erected on the third day of my second Grandmother’s Council. My whole reason for attending the Grandmother’s Council was to promote and share The List. 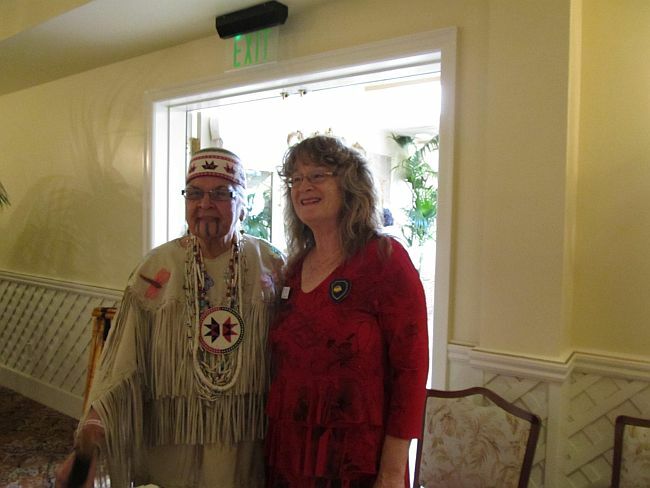 I had long ago been told that Jann was once identified as “The Woman with the Yellow Hair.” She had been made an honorary member of a Cherokee tribe, and was given this title, because of her work with The List. Long story short, I actually learned at this council, this title is an alternate for “White Buffalo Calf Woman,” the woman who brought many sacred ceremonies to the aboriginal people, many years ago. In some circles, it was foretold that she would return, bringing healing once again to the people of the Earth. All this true or not, the existence of this feminine statue alone was epic. Statues reflect consciousness, and the existence of this statue represented the elevation of the feminine in our society, and to an equal and iconic level. On this day, International Women’s Day, I celebrate Women’s Equality by sharing my stories with you. On this day, I celebrate The List and it’s role in the return of women’s equality on the levels of women’s empowerment and safety on this Earth. What Do You Want in 2013?